Higher Darracott Farm is a quality place to stay just one and a half miles from Great Torrington one of Devon’s most popular tourist destinations, our B&B is in a tranquil and beautiful setting where you can enjoy the peace of the exceptional Devon countryside and the friendliness of Devon people. The new Millennium Walk passes by the farm, a circular walk of 20 miles around the town of Great Torrington which incorporates some of the 365 acres of commons around the town (open to everyone) and the Tarka Trail (Tarka the Otter a famous children s story written by Henry Williamson who stayed in the area). Within 5 minutes walking distance is a Coarse Fishing Reservoir in a peaceful and idyllic setting. 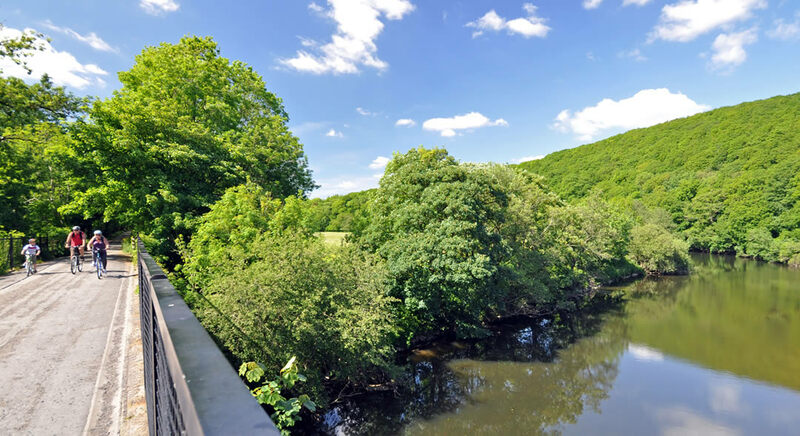 Nearby Great Torrington, set high on an inland clifftop, with spectacular views of the countryside, is a friendly town which celebrates its past. The town of Great Torrington has a Victorian pannier market, is well-stocked with award-winning shops, pubs and cafes, and has tourist attractions giving an insight into its link with the Civil War history. There are several excellent places to eat out in Great Torrington as well as a large number of ancient pubs in the surrounding villages, many thatched and dating to medieval times, serving excellent food, local real ales and cider. The many local places to visit include historic Barnstaple and Bideford, with their pannier markets, Clovelly with its donkeys, Instow, Appledore, Westward Ho!. And spectacular Hartland Quay and Hartland Point on the North Devon Coast as well as Adventure Parks such as The Milky Way and The Big Sheep for children just a short drive away. For the grown ups and children alike there is Atlantic Village in Bideford an out of town famous names discount stores and adventure area. 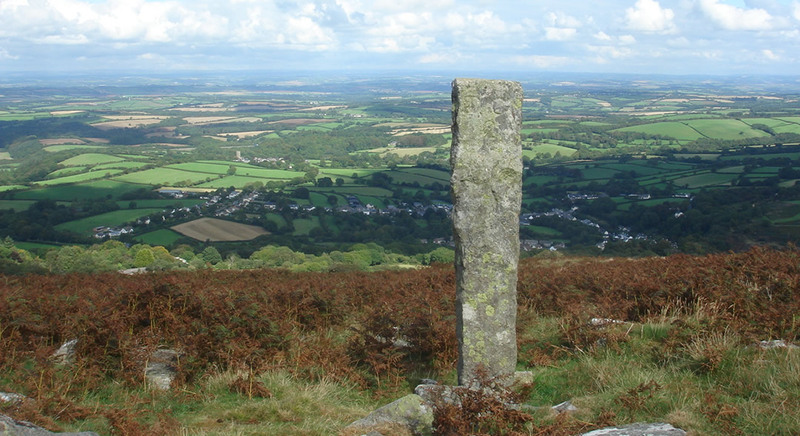 Dartmoor and Exmoor with their quiet villages and megalithic monuments are also within easy reach (30 mins. by car). No wonder this area has attracted famous authors and journalists! 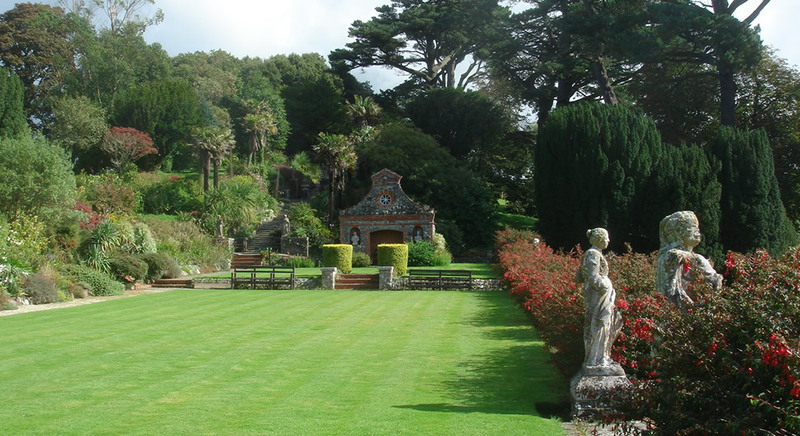 These spectacular gardens are only 5 mins drive away set in the beautiful Torridge valley enchanting gardens to visit any time of year. With special events throughout the year and an excellent restaurant and tea room, possibly the most popular attraction for visitors to Darracott Farm. Torrington Common which extends to 365 acres, incorporates 20 miles of footpaths and is a haven for wildlife. The Tarka Trail Puffin Billy Station Torrington, two miles from Higher Darracott Farm is a bird watchers paradise up to 21 miles of level scenic traffic free walking and cycling track, where you can also hire bikes if you haven’t brought one. A Great Day Out for all the family! See and hear the fascinating story with Dartington Crystal in the all new audio visual theatre, experience the only remaining major UKCrystal and Glass Factory in the beautiful North Devon Countryside. Set into a steep hillside, Clovelly is one of the most famous villages in the world. The single cobbled high street winds its way down the hillside through traditional whitewashed cottages festooned with fuchsias and geraniums. Unusually, this North Devon village is privately owned and has been by the same family since 1738. Their policy is to care for Clovelly and keep it in the style of the mid C19th. An unexpected jewel on the edge of Exmoor, a family estate once held by the Chichester family for over five hundred years filled with treasures for all ages to enjoy. This Regency House is set in magnificent grounds with over 20 miles of footpaths to explore. 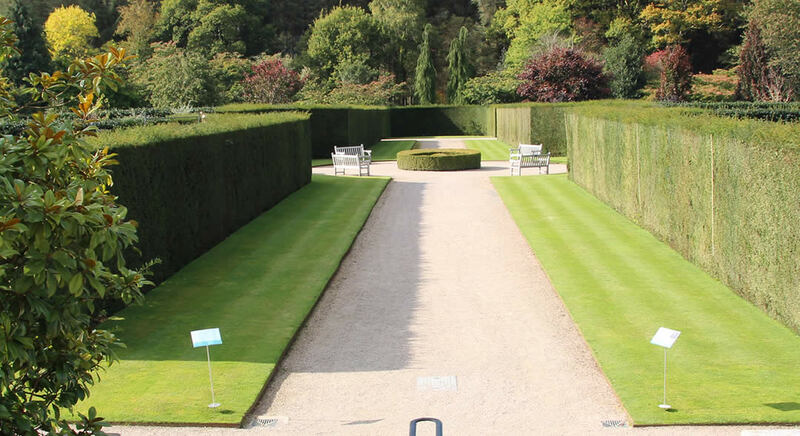 Historic house set in beautiful gardens and parkland home to the Stucley family, used for many film locations ie(Sense & Sensibility) and special events throughout the year. Visit the house or go on a walk through the woodlands to the beach and Blackpool Mill Cottage, or just sit in the sun and enjoy the surroundings. 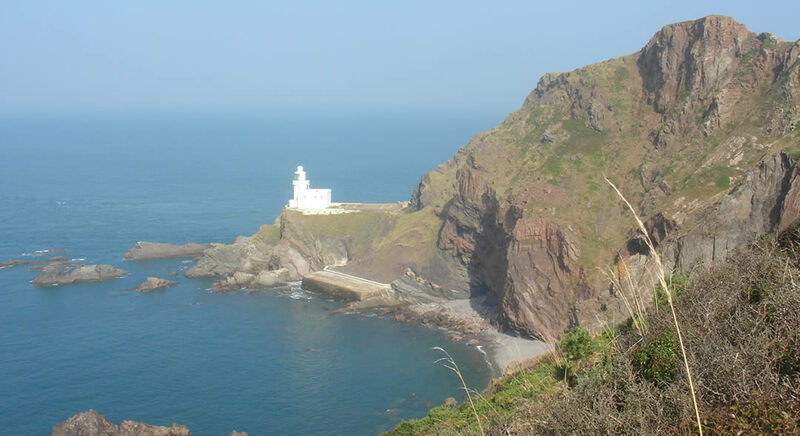 Dramatic coastal scenery with panoramic views and spectacular clifftop walks, further along the coast is Hartland Point with it’s Lighthouse and stunning views to Lundy Island. Take a day trip on Lundy’s own ship the MS Oldenburg from Bideford and sail to Lundy Island a place of outstanding natural beauty and famous for it’s puffins, wildlife standing stones and peace and quiet. Five miles to our nearest beach! 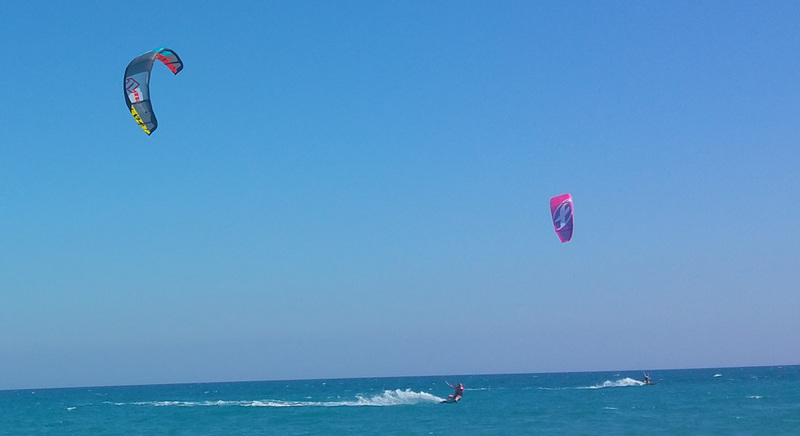 Miles of glorious golden sands with strong off shore winds surfer and kite surfers paradise. Relax and unwind take a sunset walk across soft sand with cool waves breaking at your feet. Marwood Hill A very special private garden covering an area of 20 acres with three lakes and set in a valley tucked away in North Devon. Enjoyed by visitors of all ages looking for inspiration, relaxation or just a great day out for all the family. We are ideally positioned for Great Torrington Golf Club just two minutes by car from Higher Darracott other local Clubs are the historic Royal North Devon links course at Westward Ho!, the Championship East Course at Saunton Sands or the local courses at Libbaton, Chumleigh and Portmore at Barnstaple.